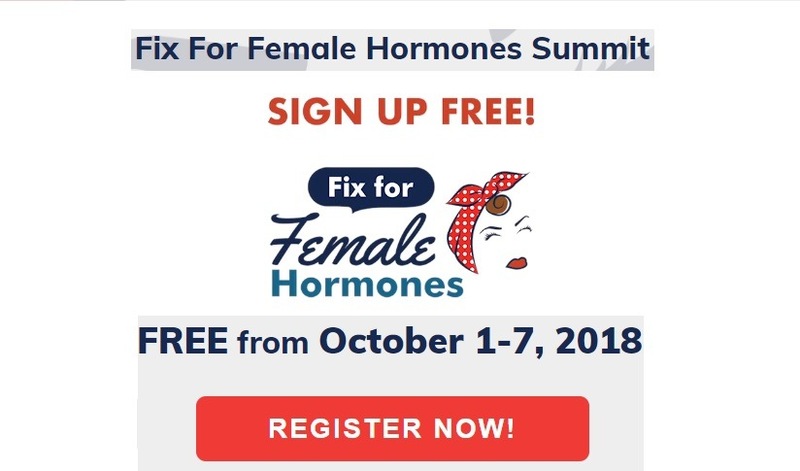 Gain the best secrets and practical strategies for healing at The Fix for Female Hormones, online and free from October 1-7, 2018! Too many women have health crises holding them back: they’re exhausted, can’t lose weight and are struggling with endometriosis, thyroid disorders, PCOS, fibromyalgia, autoimmune diseases and more. They’re overworked, overwhelmed and terrified because many are counting on them. They give and give, and the more they do so, the worse they feel. Your host, Misty Williams, became a health advocate for herself after a difficult diagnosis of endometriosis (and lost an ovary in surgery). Post-surgery, her intestines were stitched up, she didn’t sleep for 6 days and struggled with fatigue, brain fog and several abnormal symptoms. Her conventional doctors had no reasons or solutions, so she tackled the task of finding the right people and protocols to heal herself. She’s here to help you by sharing what she learned. • Have your doctors said your labs are normal, but you don’t feel normal? • Are you exhausted, even after getting lots of sleep? • Have you had trouble getting pregnant and having children? • Does your brain feel like it’s full of cotton? • Is your body chubby for no good reason? • Do you get cranky and grumpy? • Get answers to these and many more questions!